The French have their berets, Russians wear their fur hats and Moroccans don the fez. 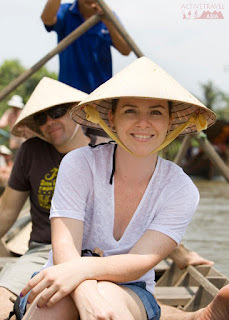 In Vietnam, the conical hat is the head wear of choice. 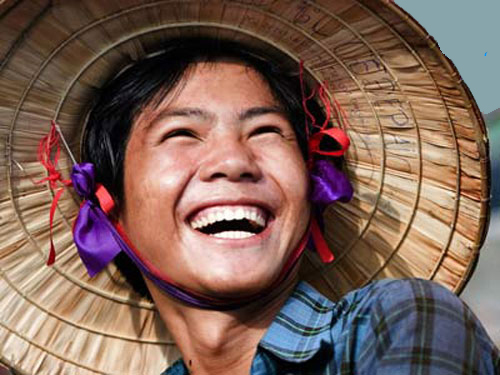 This sturdy, wide-brimmed topper is well suited to a country where rice farmers endure both fierce sunshine and pelting rain out in the fields. Along with the Vietnamese traditional dress, it has become an informal national symbol. Vietnam is a fascinating country and a highly photogenic one at that. But beyond this - what lies beneath the conical hat? Because Vietnamese society places significant value on stability in social interaction, relationships tend to be very close. The Vietnamese have strong feelings towards their extended family, ancestors, home village and country.